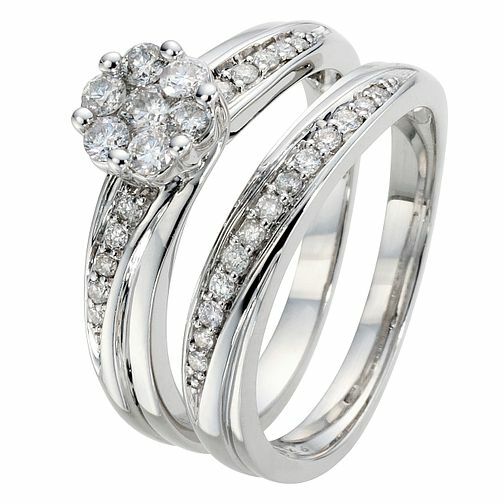 9ct White Gold 1/2ct Diamond Perfect Fit Bridal Set is rated 4.3 out of 5 by 10. Rated 5 out of 5 by Anonymous from Beautiful Rings Got this for my wife and she absolutely loved it. Looks beautiful on. Ring is high set so some may not like that. Band are wide so be sure that’s what your going for. Me and my wife love this set.